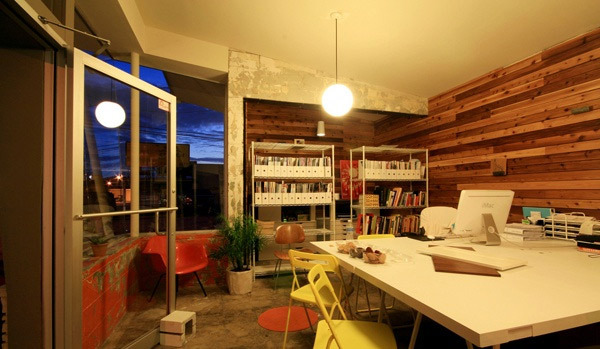 Architizer are running an interesting competition for the best office designs in the world. Office owners, architects, designers and even office staff were given the opportunity to submit their images to the website and the winners will get chosen based on viewer votes. 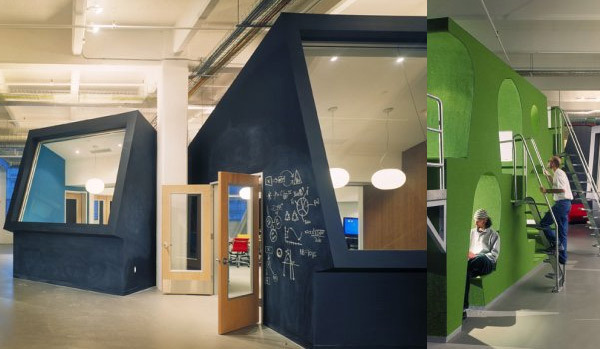 Here are just some of the runners up for the best office designs. 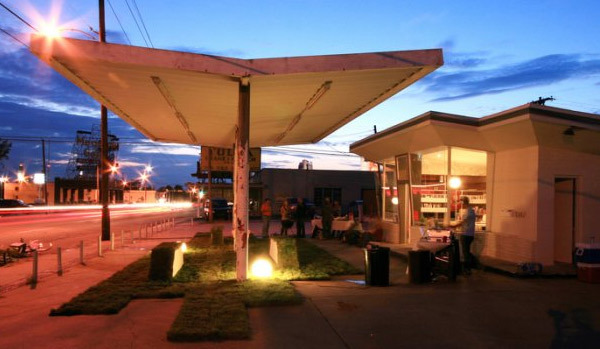 Architect firm ElevenTH took an old, beaten down 1950’s PEMCO gas station, stripped the interior, and converted the space into a pleasant, 240-sqr ft office with a touch of vintage. Amsterdam, Netherlands. In an effort to conform to the house style of white and grey, all the furnishings and decor were spray painted with polyurea Hotspray (an environmentally friendly paint). Yes, even a mounted deer head and a Jesus statue were not spared. 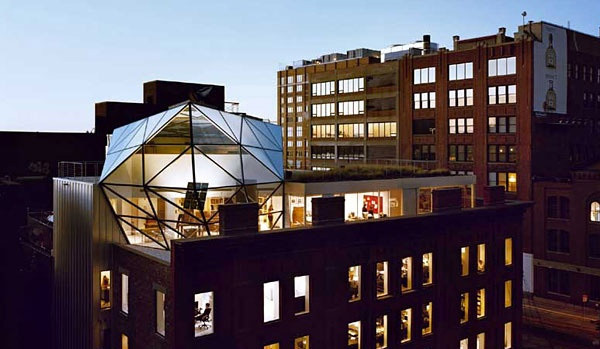 Diane von Furstenberg’ HQ and Flagship, WorkAC, New York, New York. 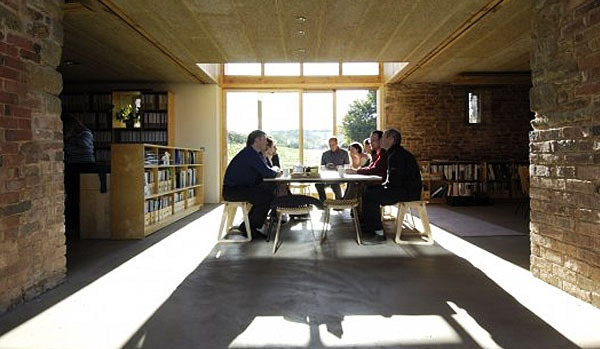 The space is designed to reflect and refract the abundant light from above. Swarovski crystals hang from the ceiling and washes down the grand, perforated staircase, which has been dubbed the ‘stairdelier. 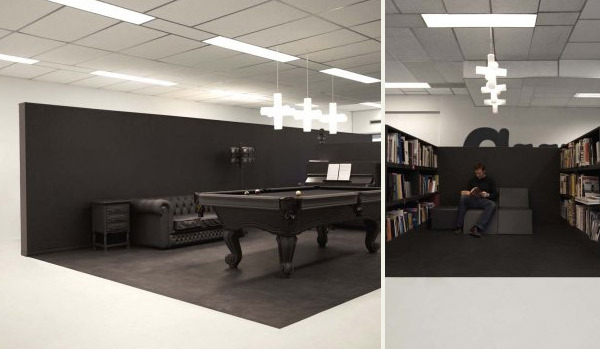 The company spent only $20 per square foot too, proving once again that less is indeed more. San Fransisco, California. 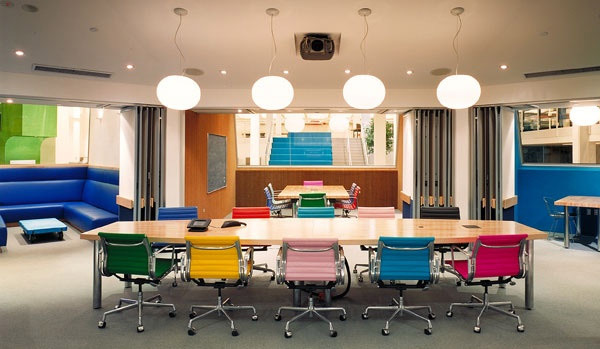 Bright green phone booth is used for conference calls at the advertising agency, and stadium-stairs are used for company meetings. Have an idea? Chalk it on the wall. California. 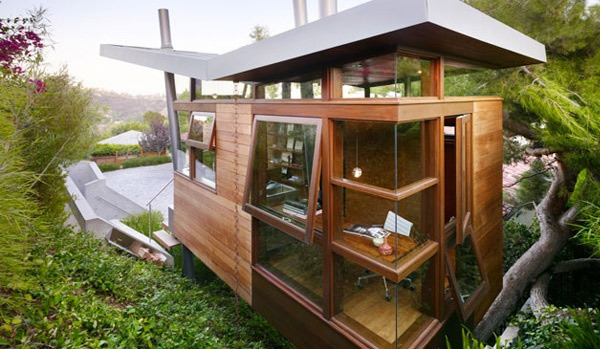 At 170sf in all, it sits 12-feet above the ground in the middle of several trees. Acknowldgement to Removal Experts London, A London office removals company for the inspiration.